Food is just better when you use your cast iron pans outdoors or inside your house and when it comes to pie there is no exception to this rule. 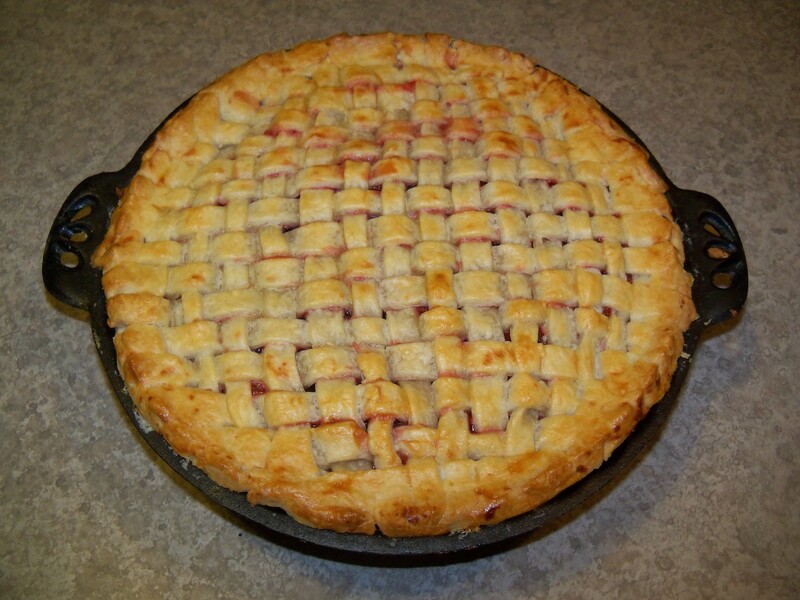 So we are starting out this recipe with a cast iron pie pan from Camp Chef. It happens to be one of my favorite and it is very user friendly. 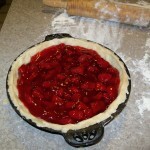 To make a pie crust you want to flour your counter or where ever you are going to roll out your crust. Roll out your crust so it is a little larger than your pan and then roll it on the rolling pin and transfer into your cast iron pie pan. Now you can prepare your pie filling. Crush 1 cup strawberries, add 3/4 cup water and bring to a boil. Simmer 3 minutes. Strain juice from cooked strawberries and add water to make a full cup. Combine sugar, cornstarch and salt in same pan. Slowly add juice, stirring until smooth. Bring to a boil. 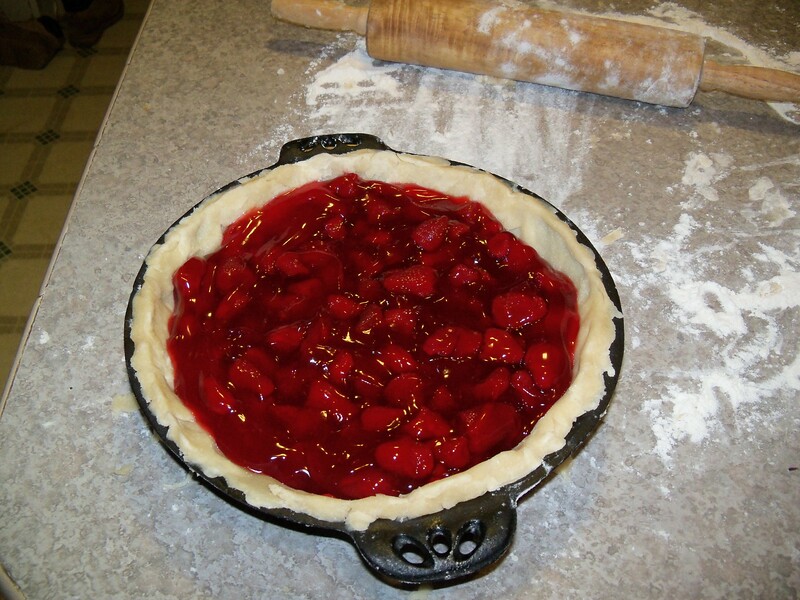 Keep stirring until clear and thick then pour over sliced strawberries in your prepared pie pan. Roll out your crust so it is a little larger than your pan and then roll it on the rolling pin and transfer into your cast iron pie pan. Now we will make the top crust for your pie. Make your curst exactly the same except this time double the ingredients so you have more to work with. Roll it out and use a pizza cutter to slice long ½ inch strips. 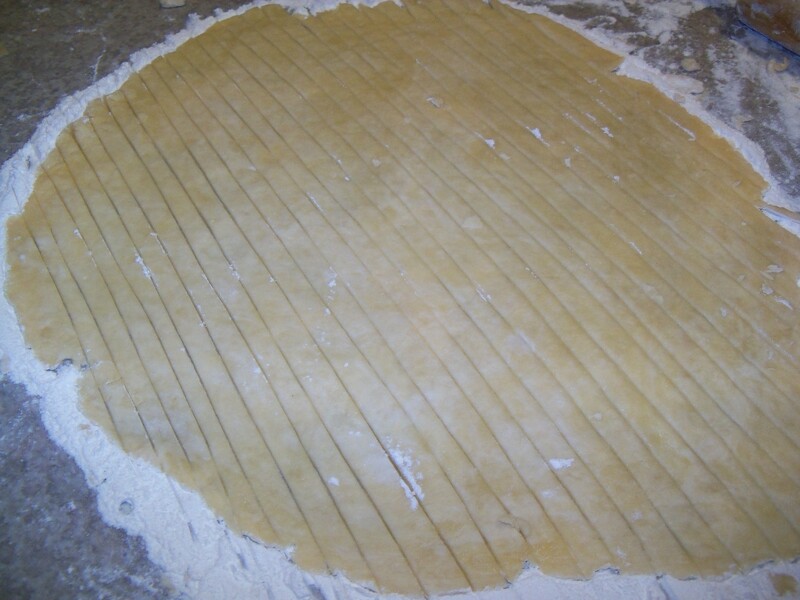 With a pastry brush add a little cooking oil so it will be easy to work with. 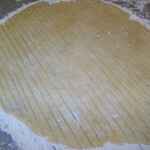 fold back every other strip and lay one strip across the remaining and lay them back. 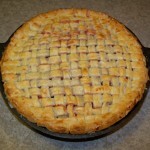 Do the same with the next row and so on until you have a weave across the whole pie. Pinch the crust off on its edges and your almost done. Bake in your heated oven for 35 to 35 minutes or golden brown.